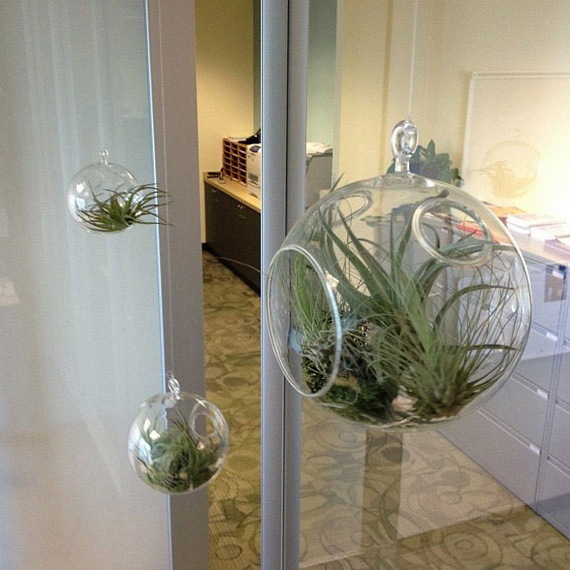 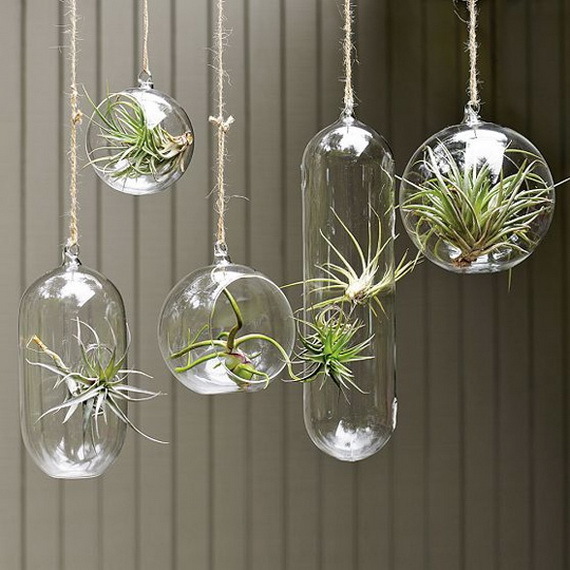 I have never managed myself to come up with Air plants. 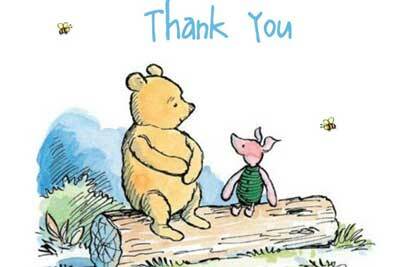 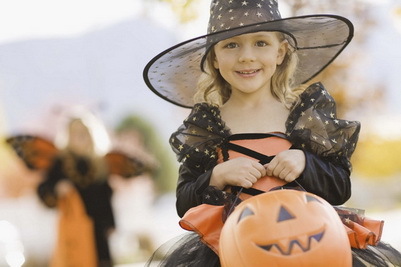 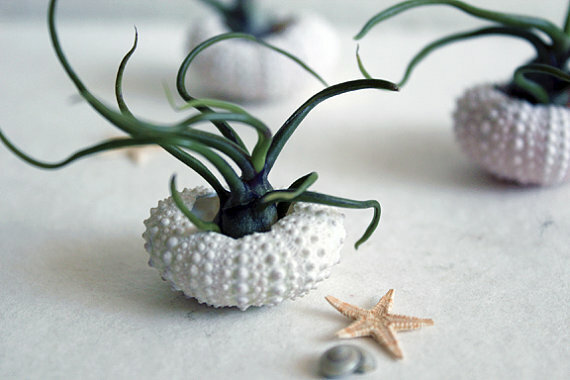 I found that they are lovely little creatures, can be placed just about anywhere. 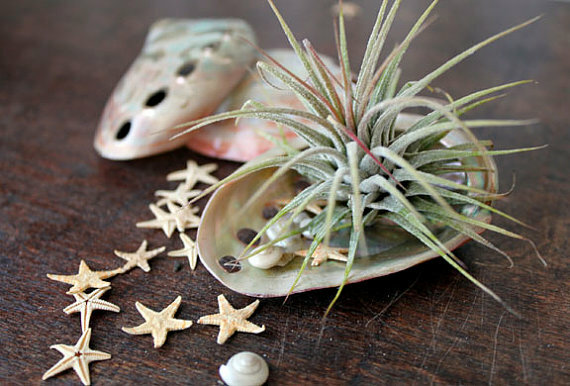 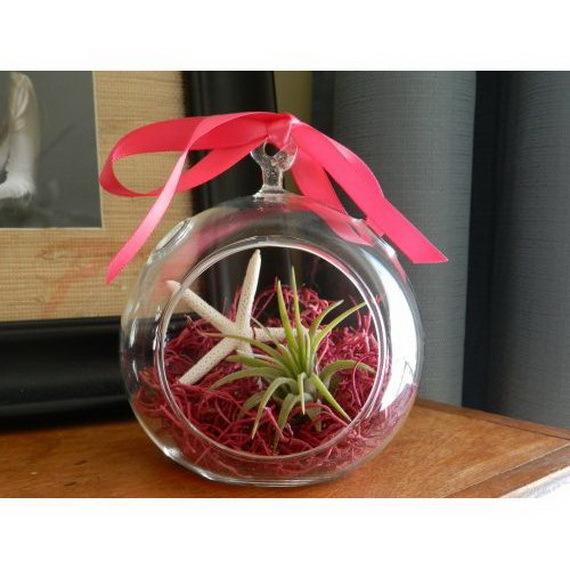 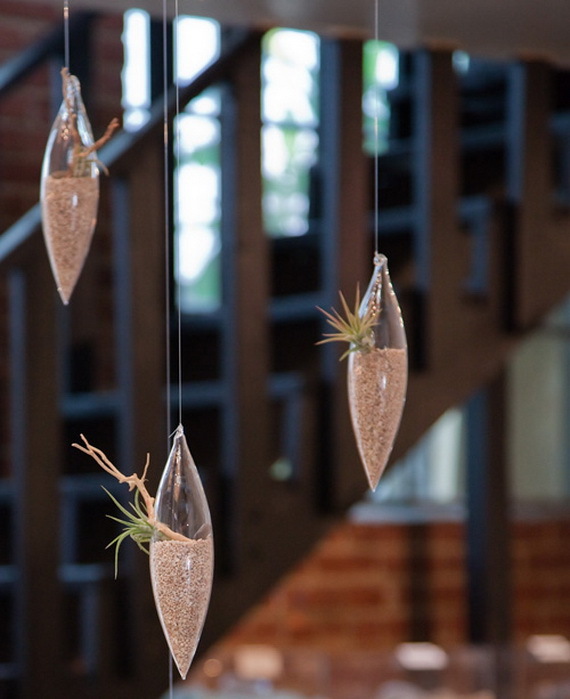 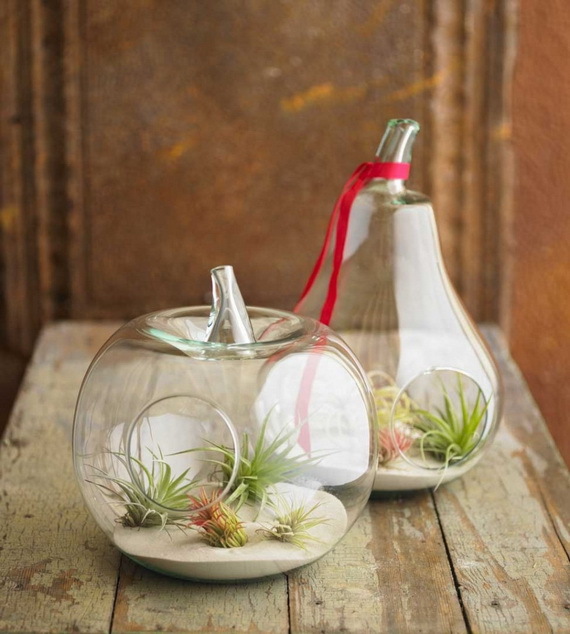 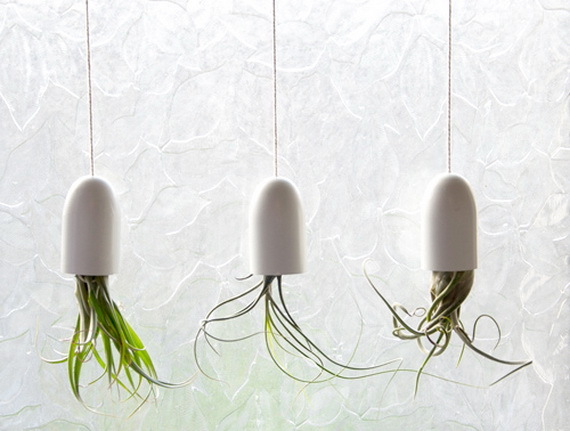 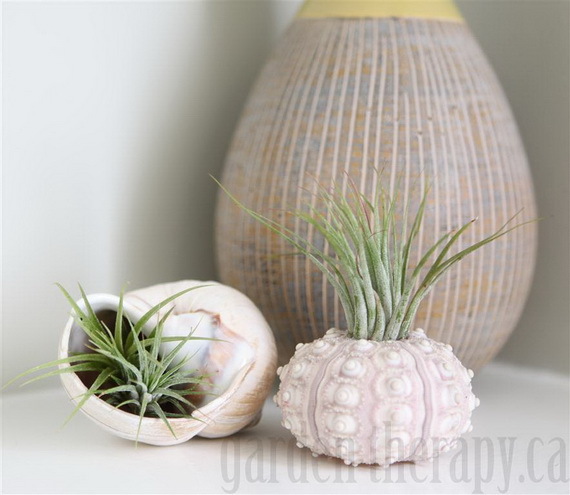 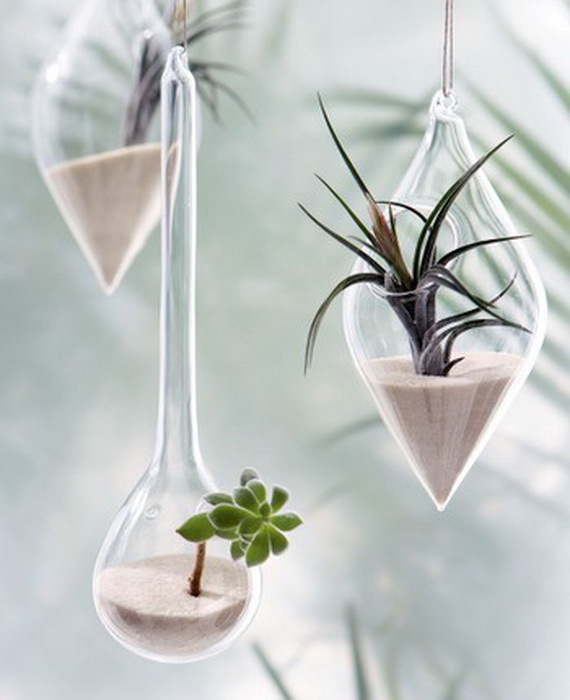 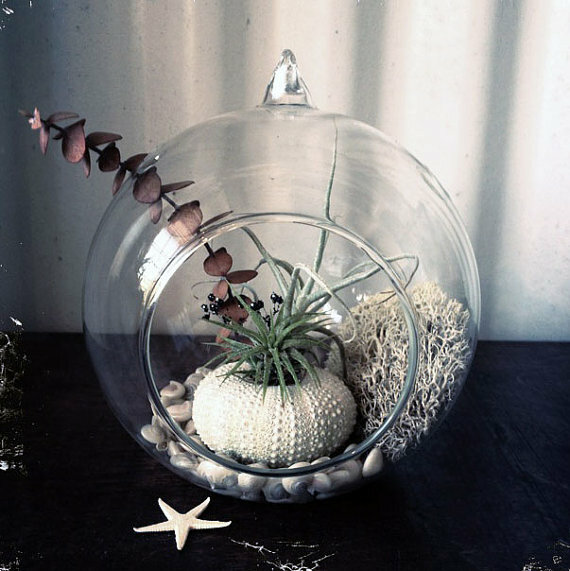 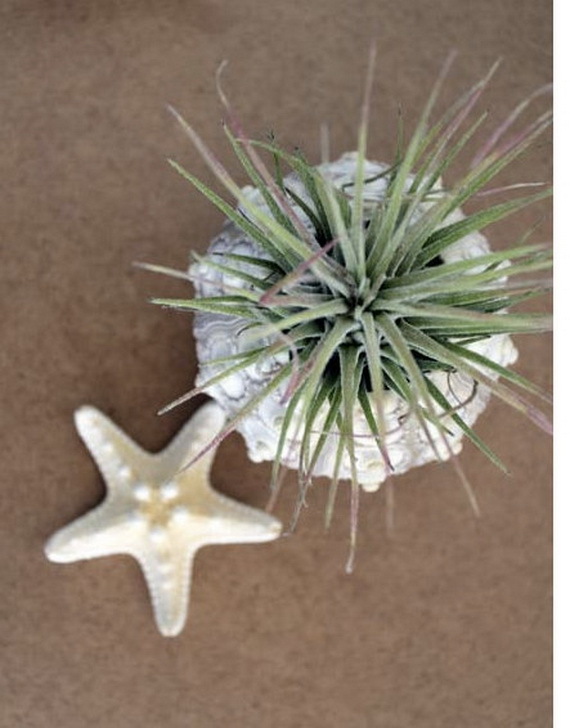 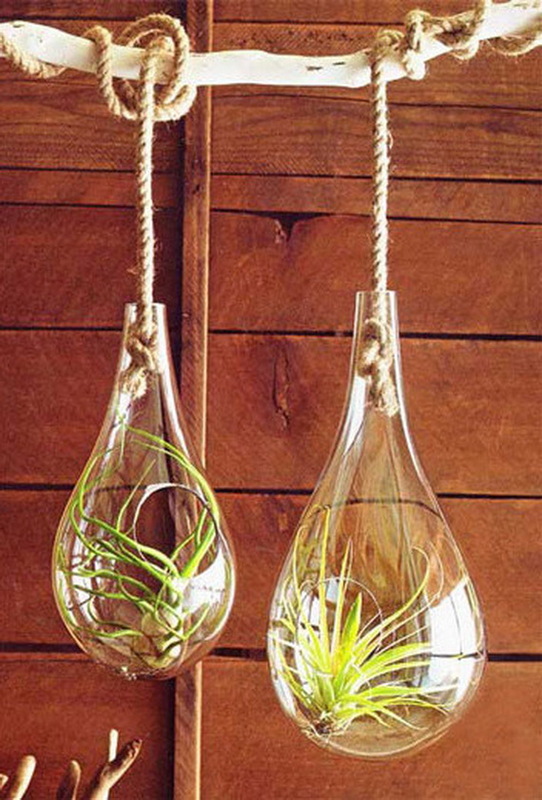 Air plant can be hanged beautifully on the walls, windows and outdoors… Air plant indoor décor are quick, easy, no muss or fuss: a few-step project is awesome. 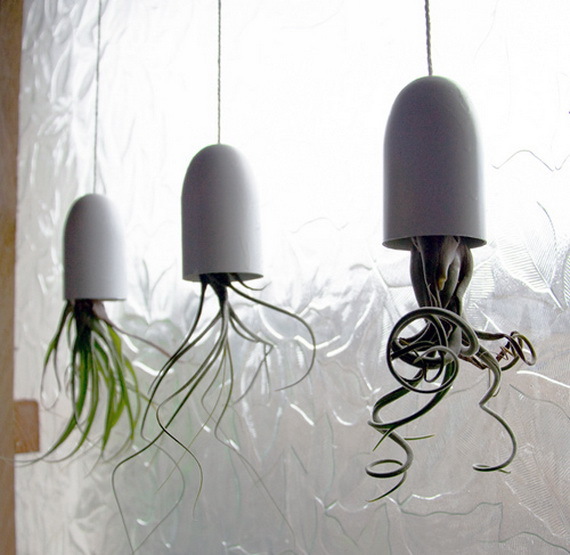 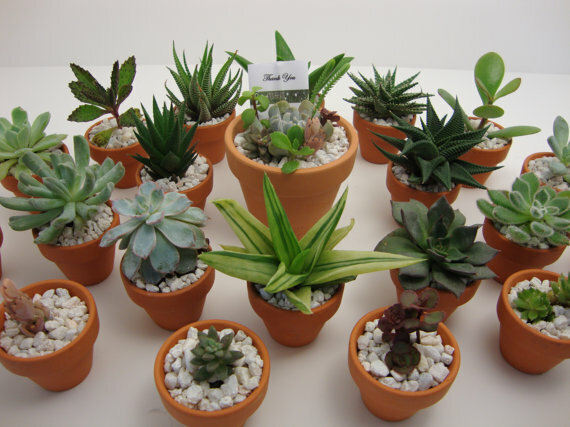 They can live in little packages for a few days without wilting away. 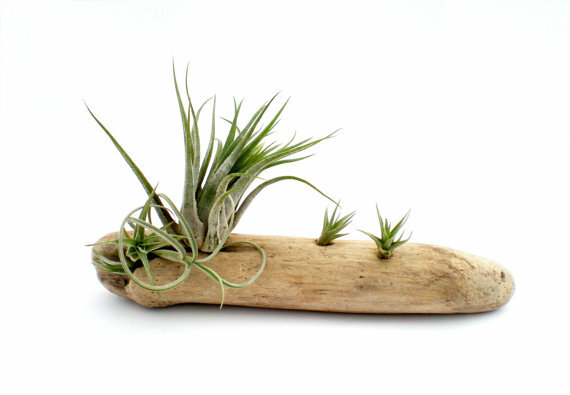 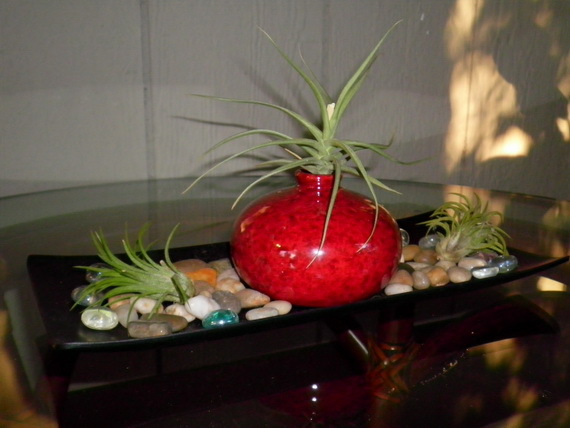 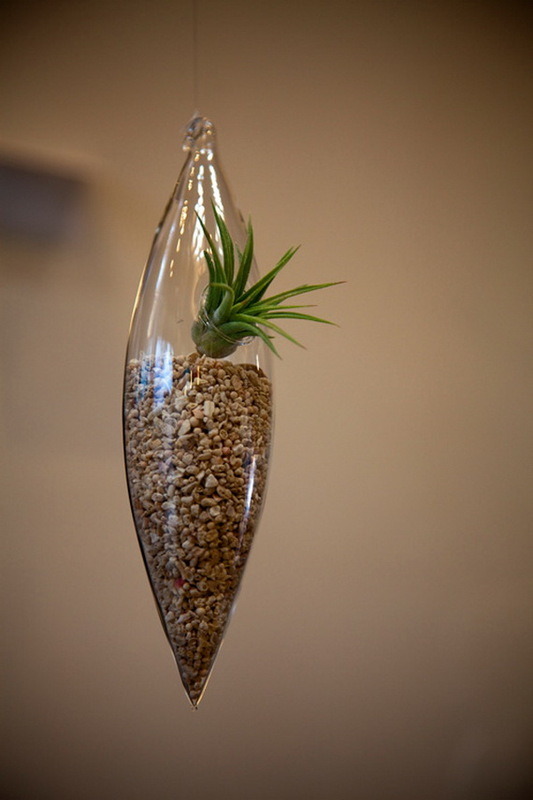 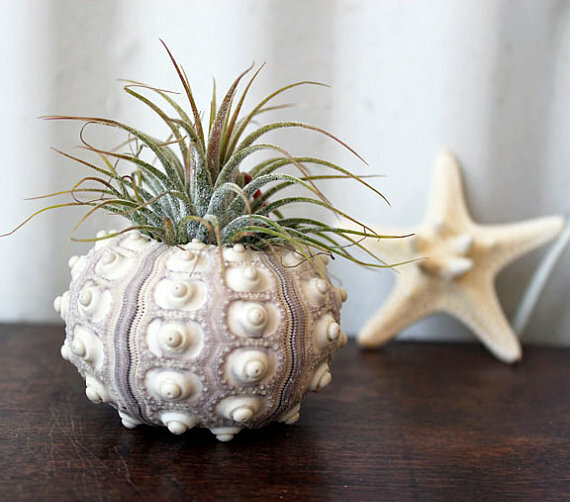 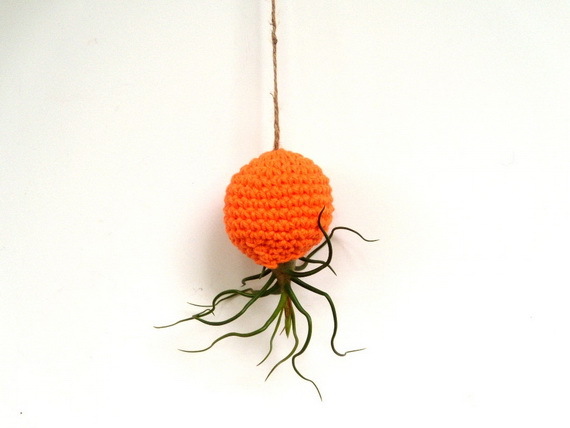 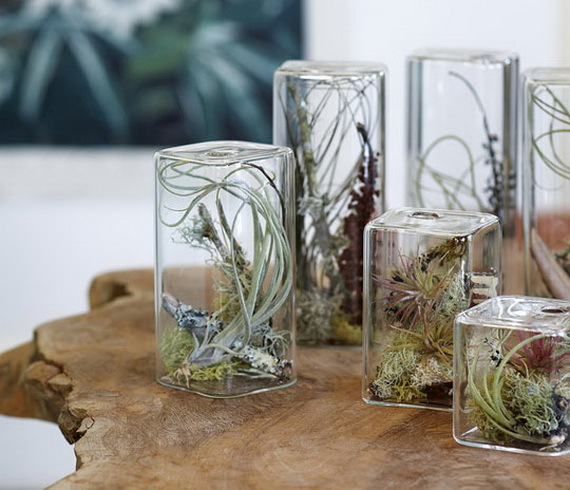 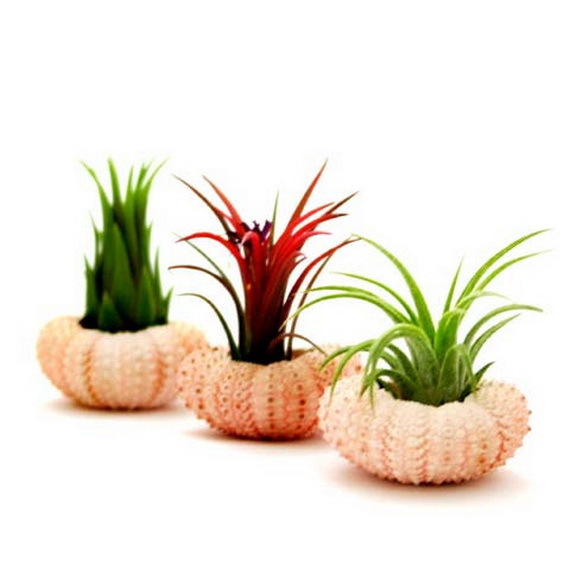 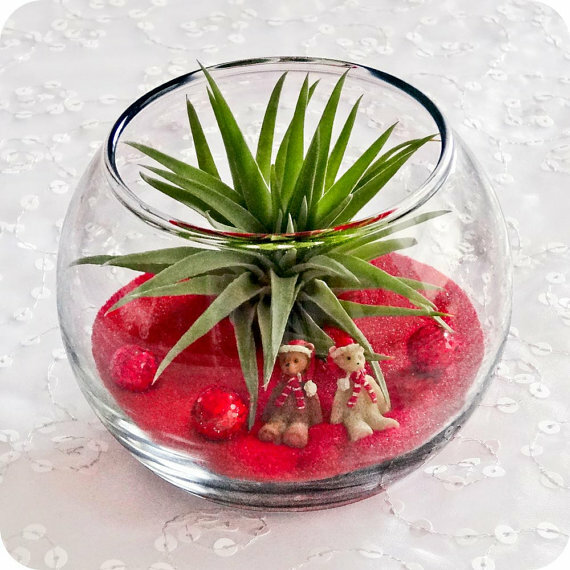 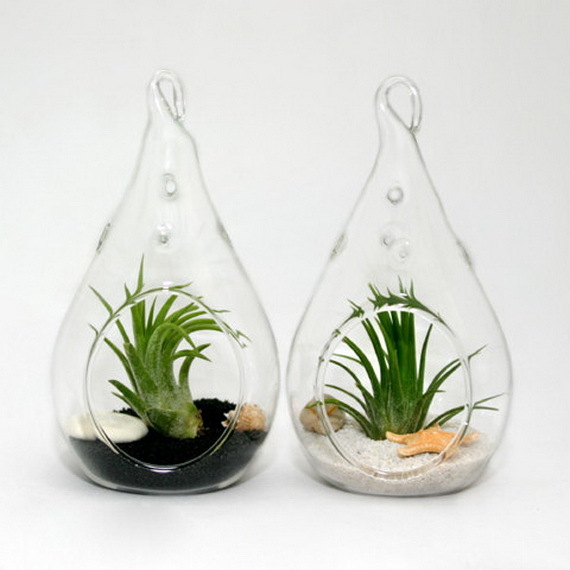 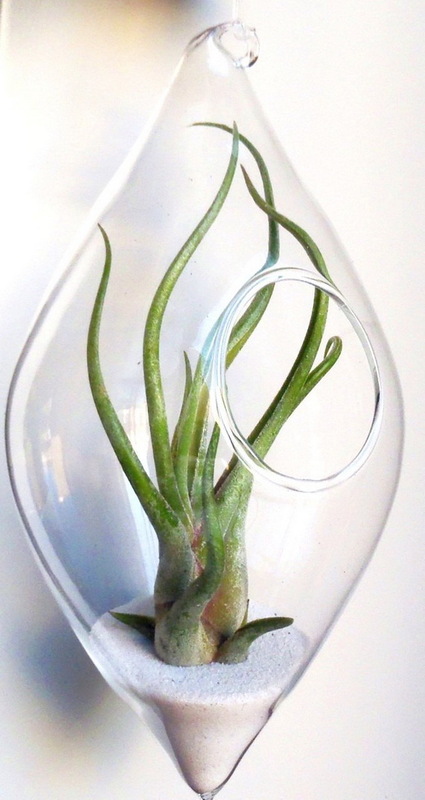 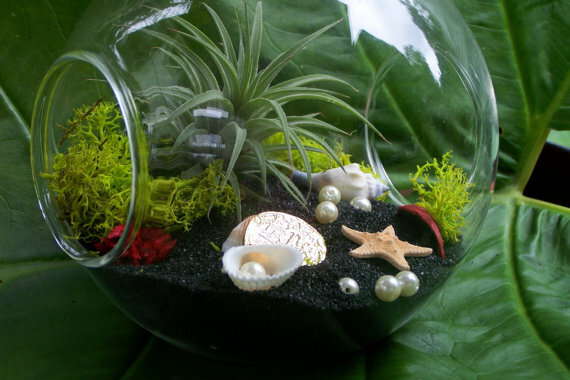 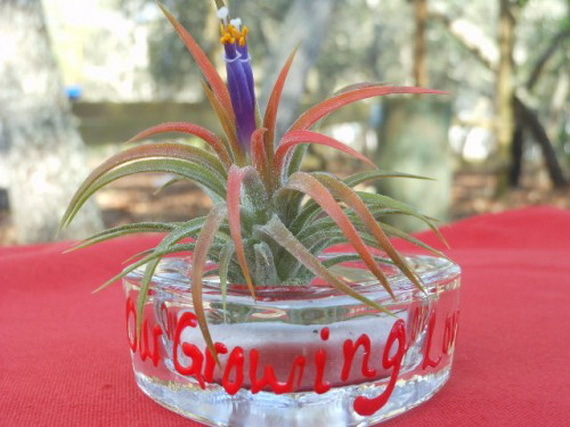 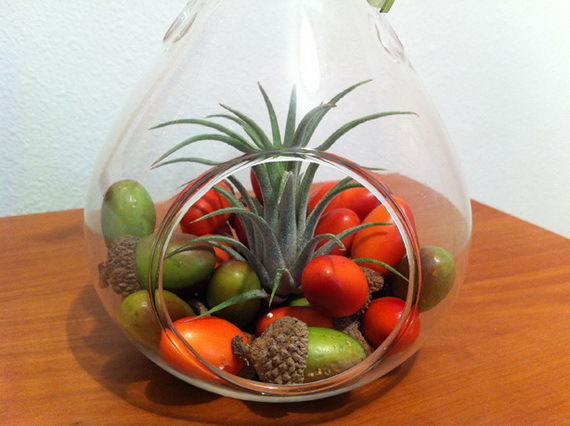 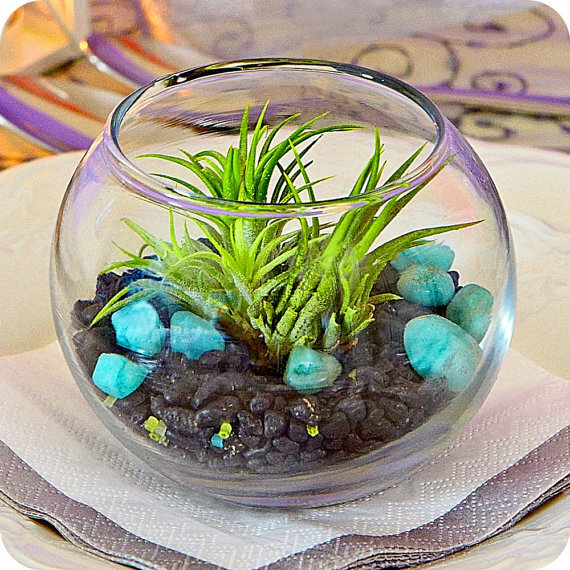 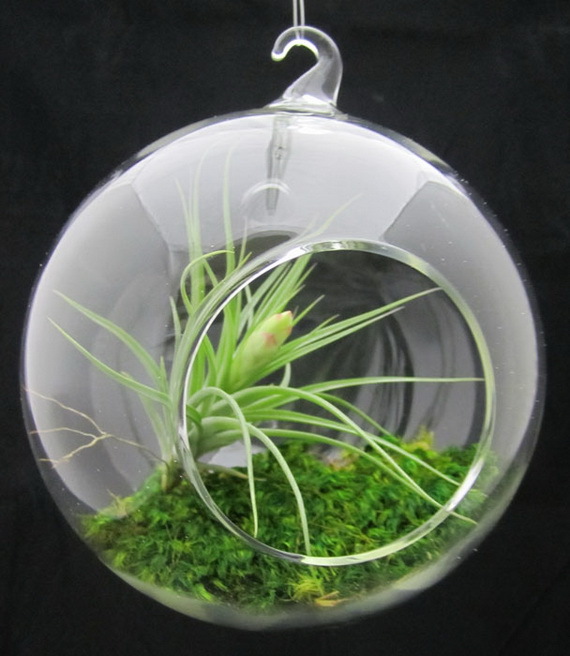 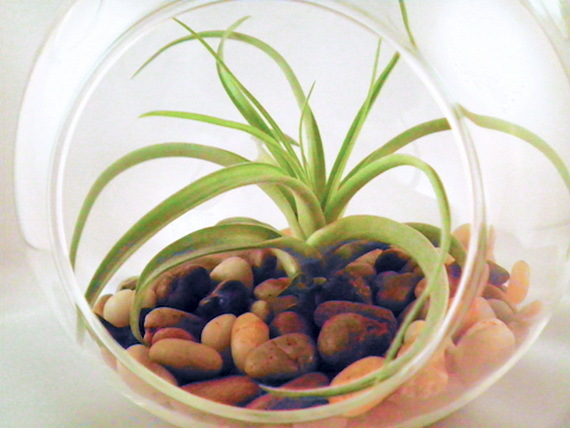 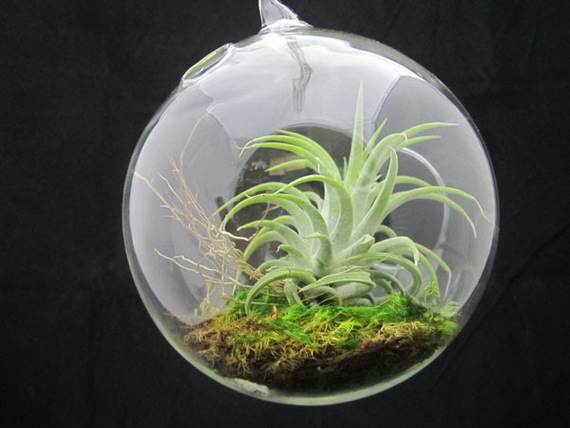 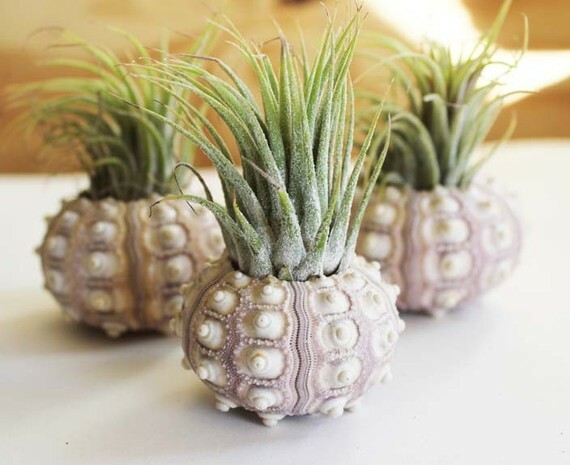 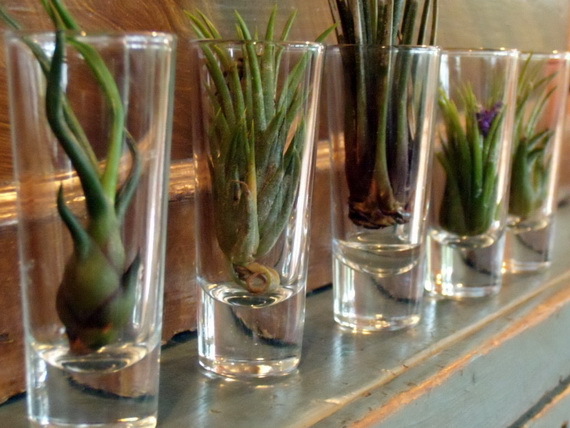 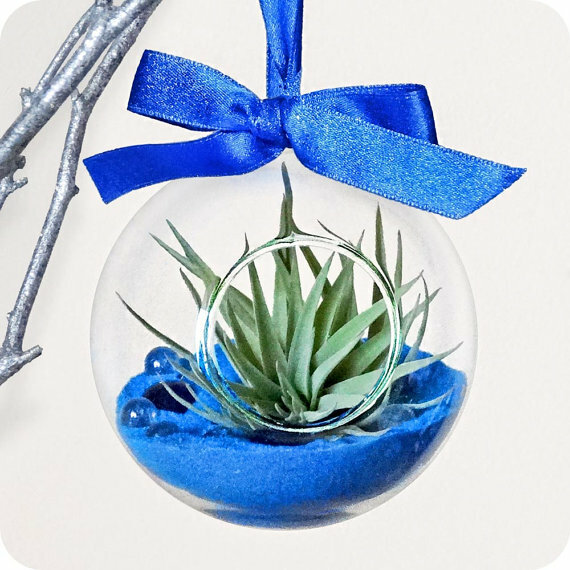 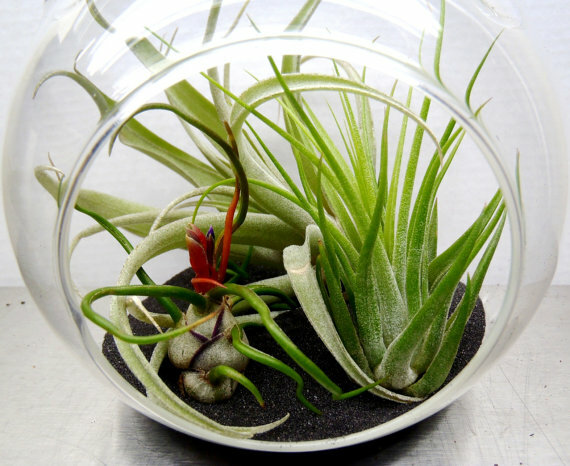 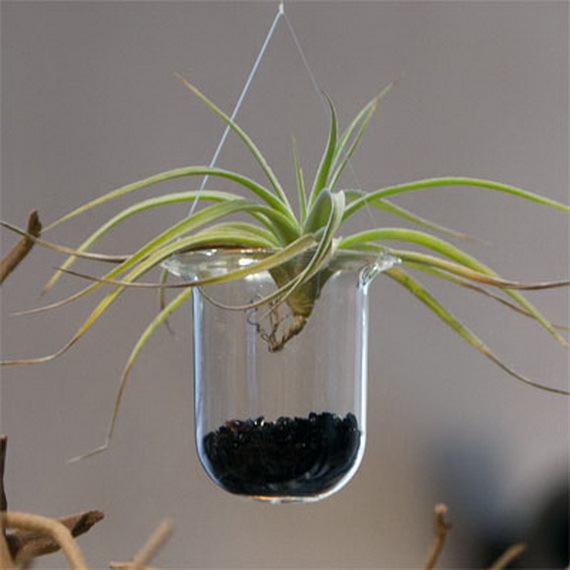 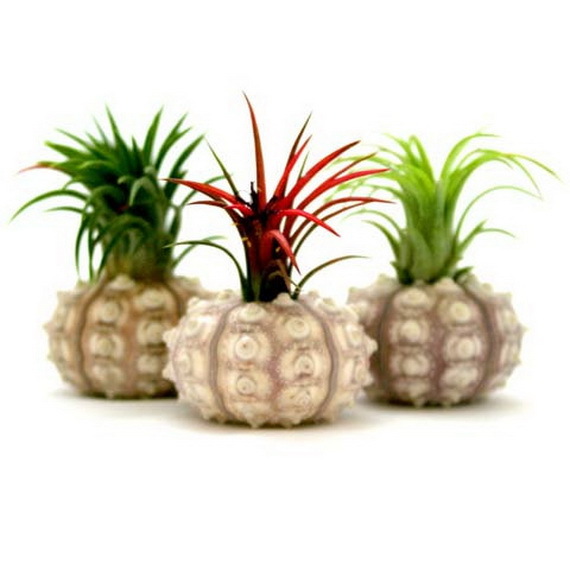 Air plants are known as epiphytes, their common name is Tillandsias… free floating succulents’ plant (grow without soil) that absorb what they need water and nutrients from the air through their specialized leaves, not through their roots. 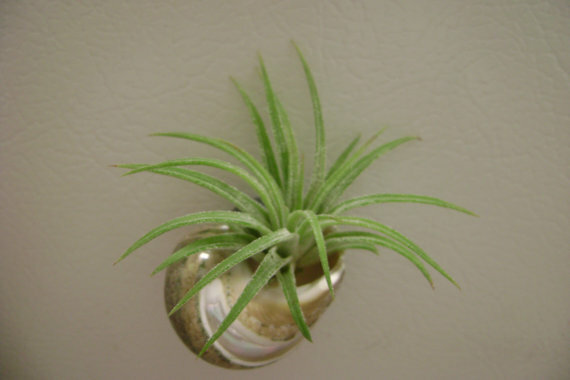 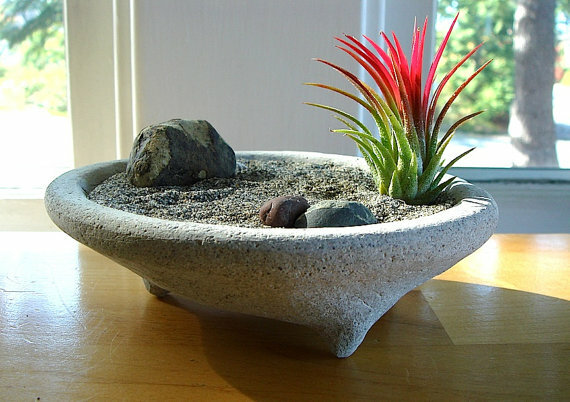 Tillandsias make unique houseplant decorations that adds a little greenery to any room, especially in small spaces.. 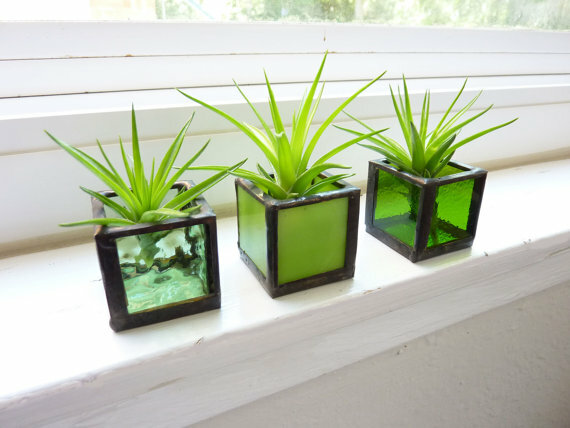 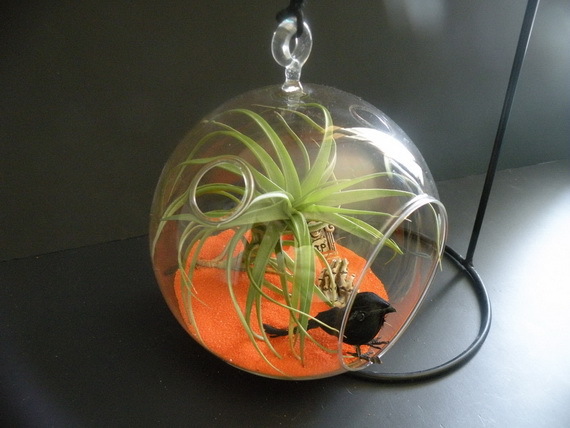 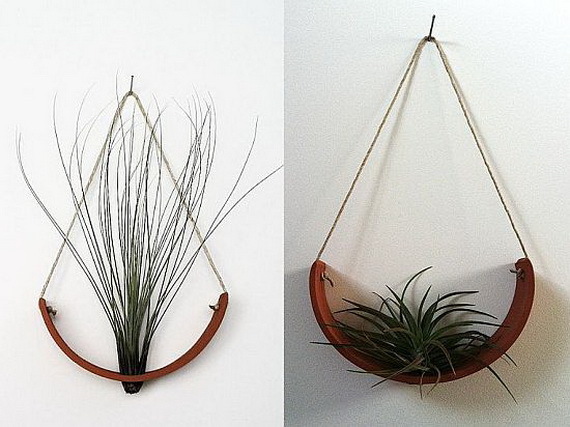 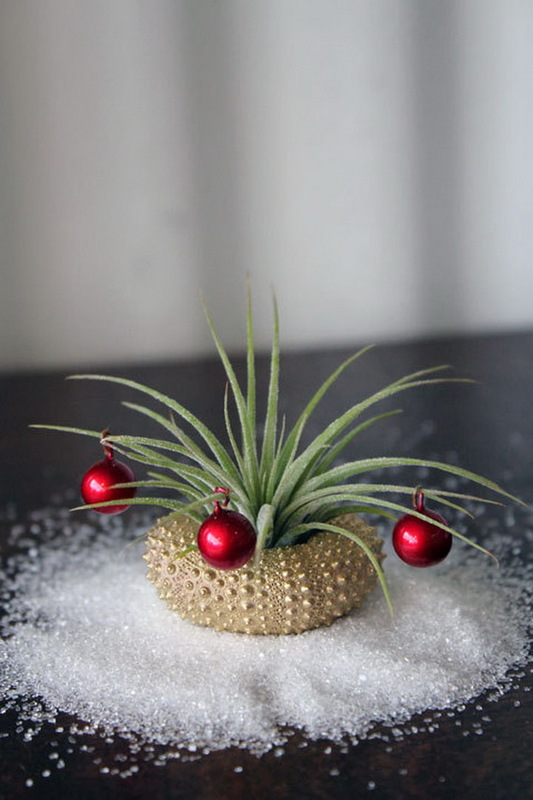 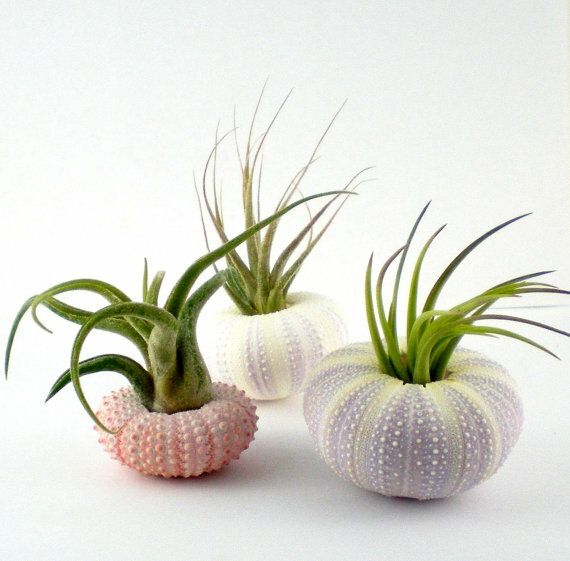 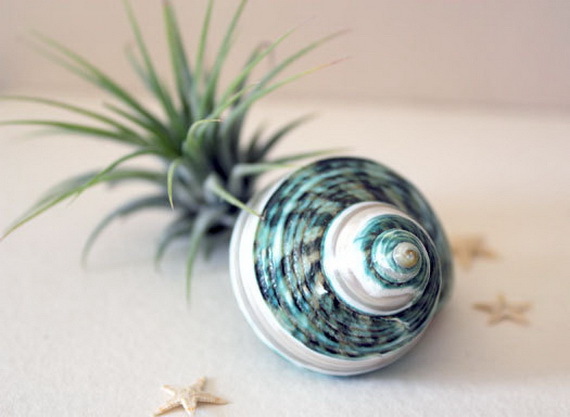 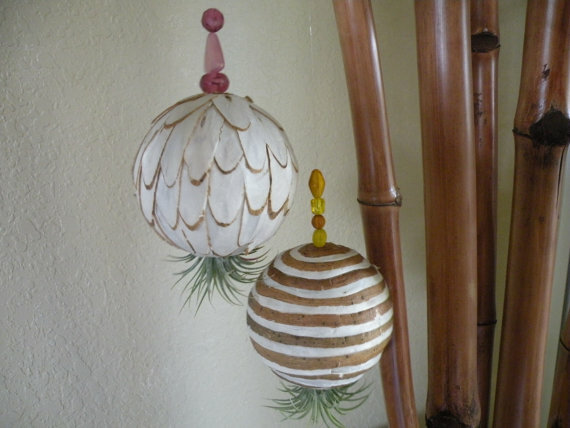 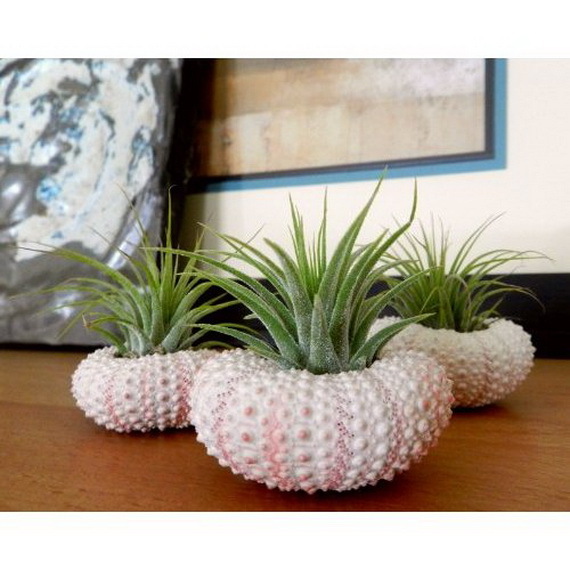 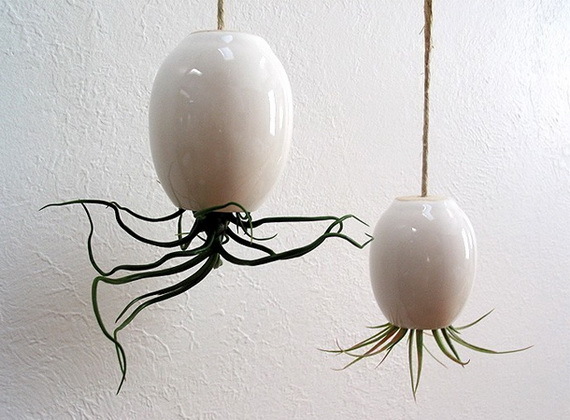 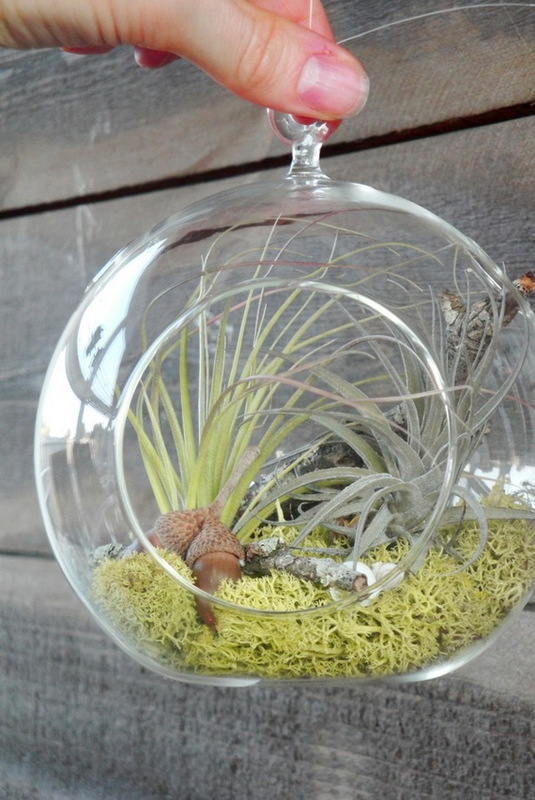 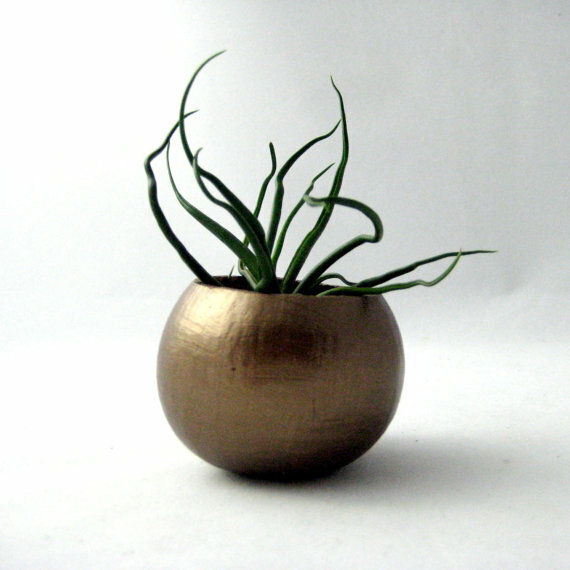 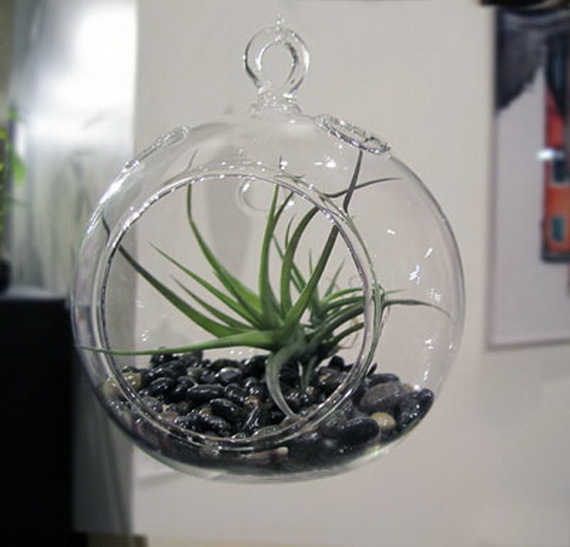 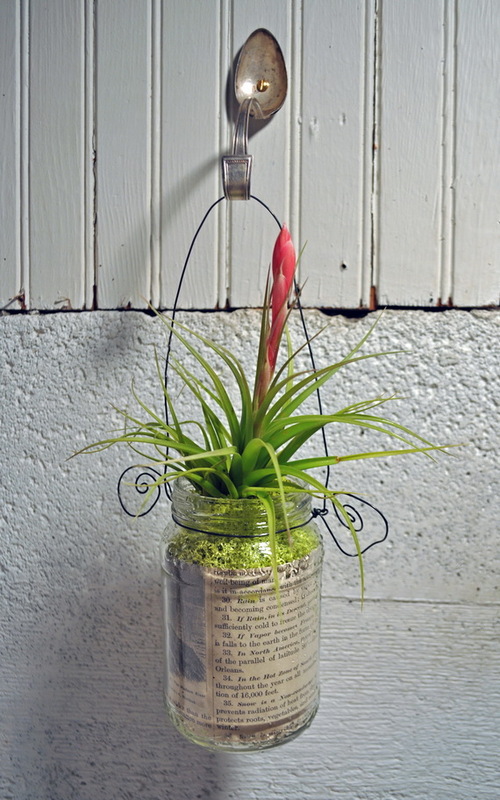 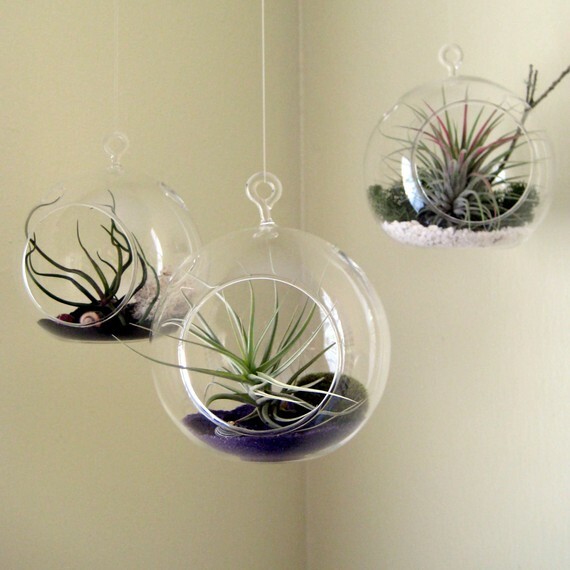 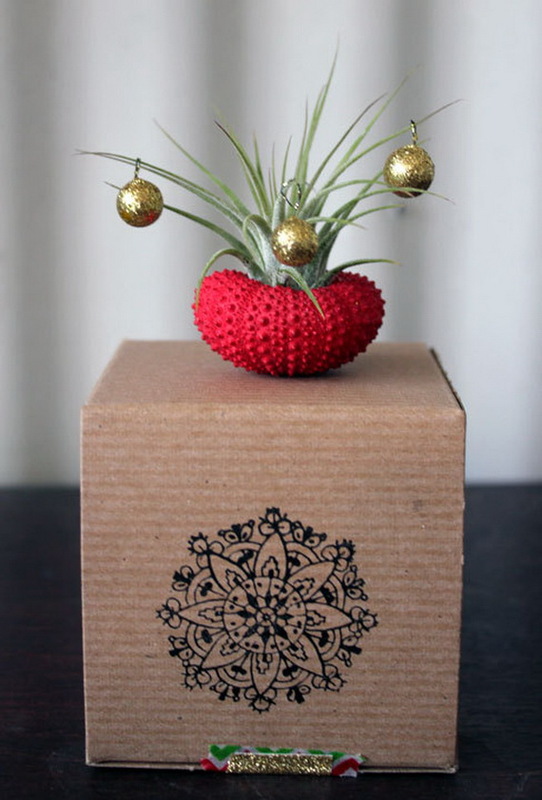 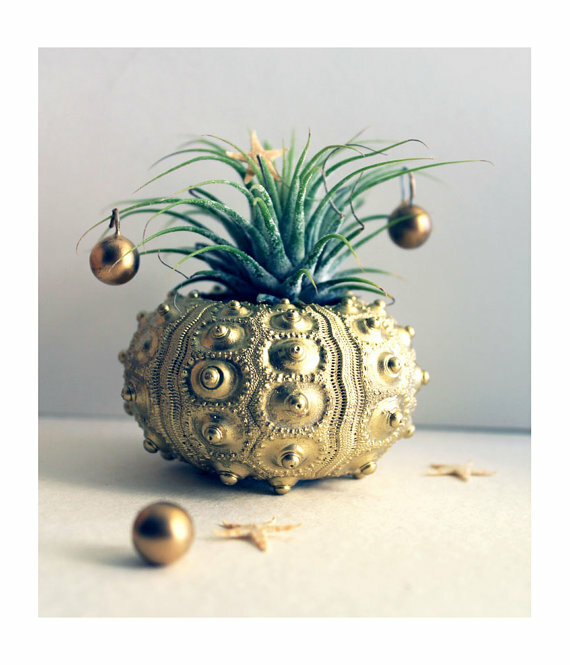 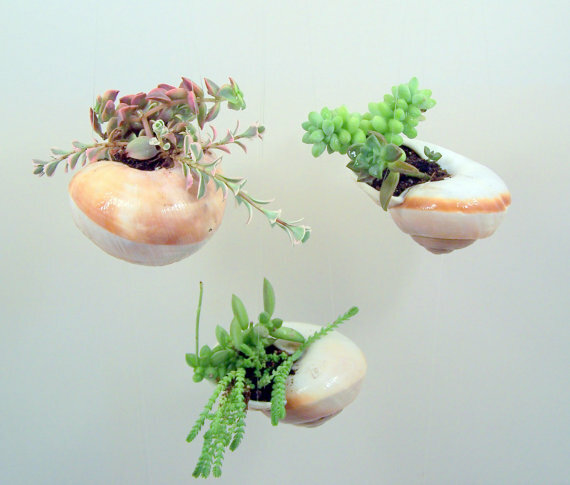 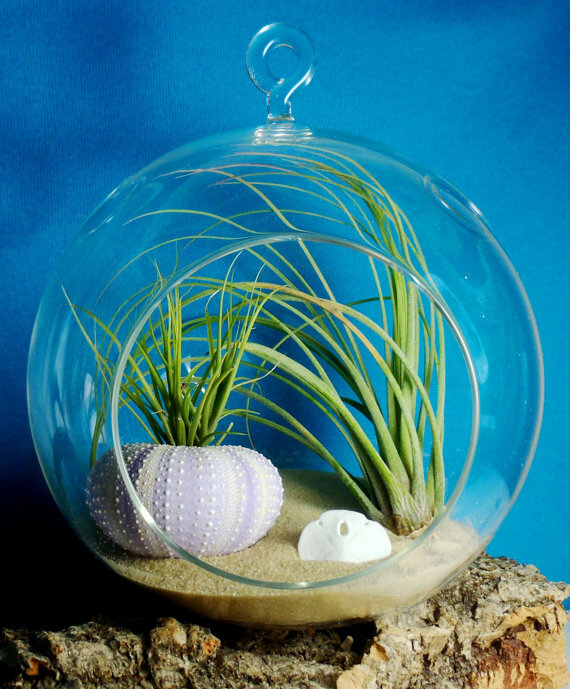 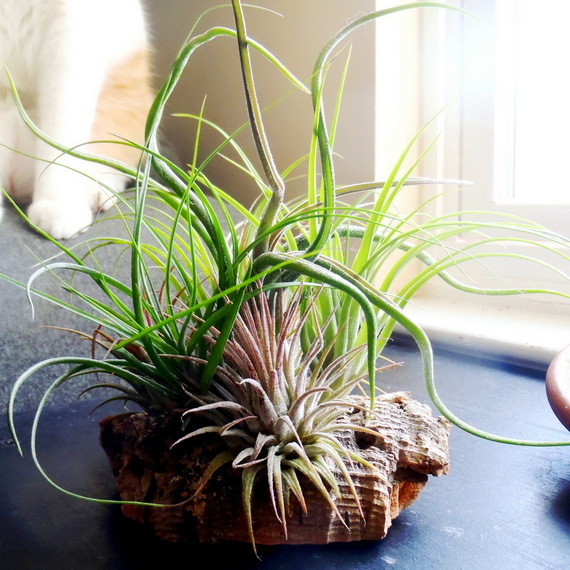 I found very sweet idea from Etsy shop and from the net too unique ways to showcase your air plants. 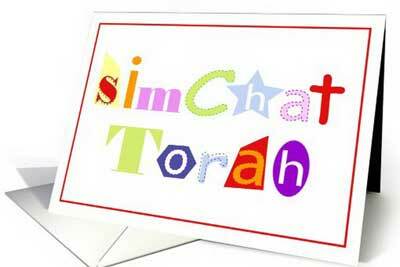 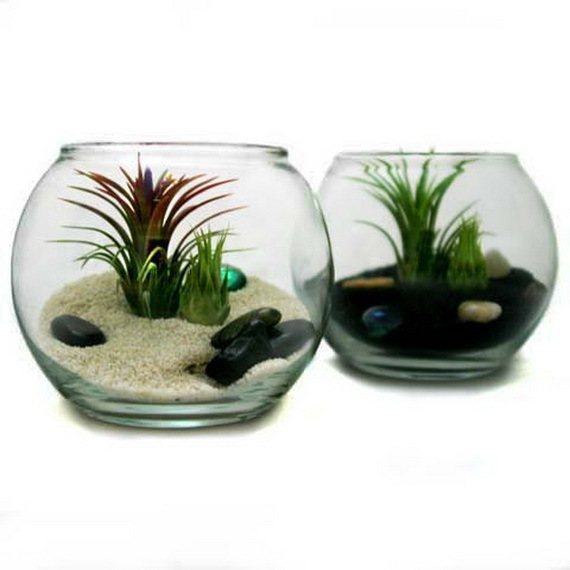 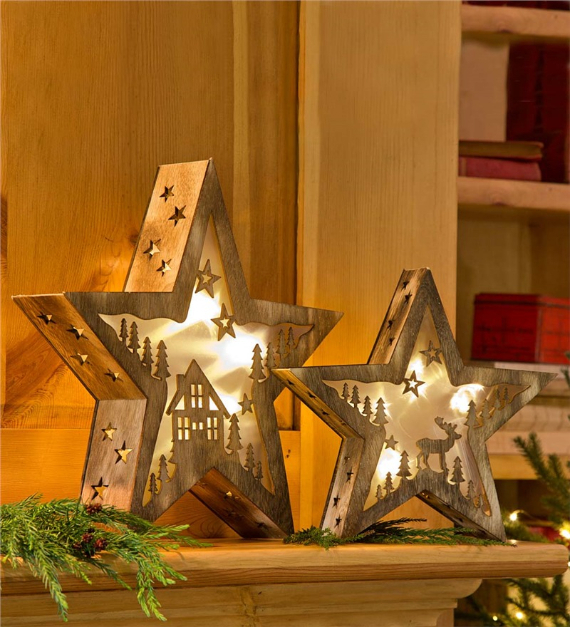 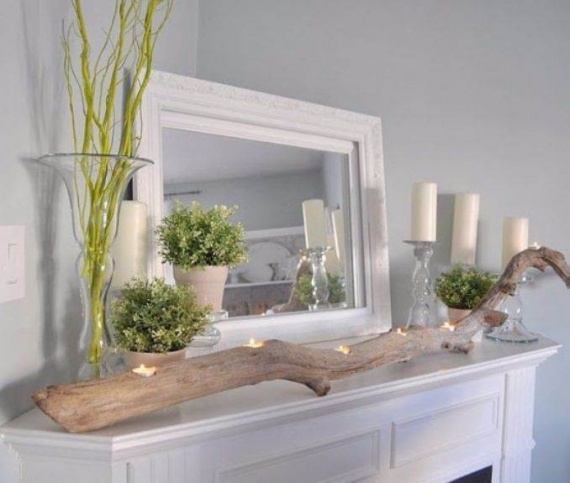 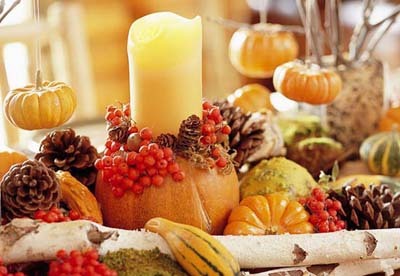 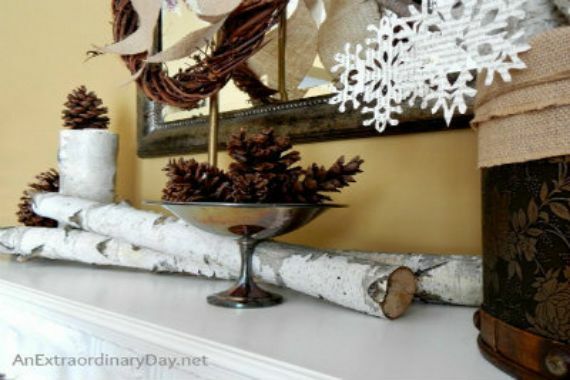 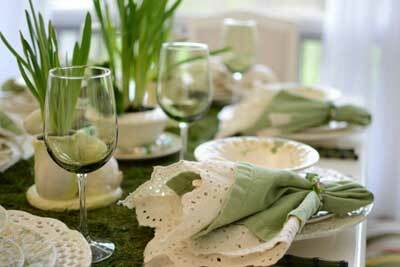 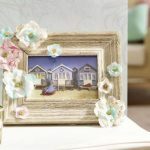 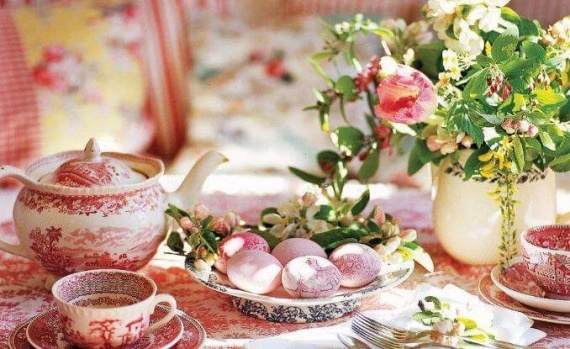 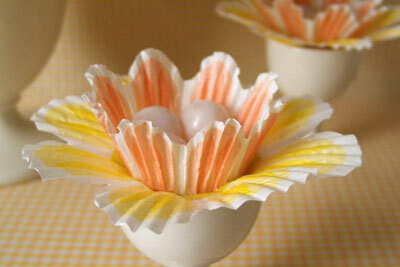 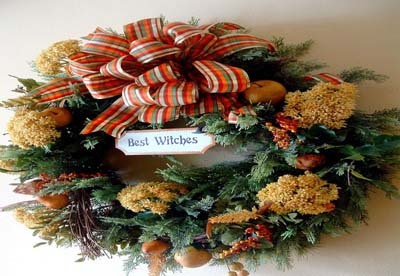 Choose from a variety of decorative items below to match your decor.